﻿ Hotel Edel Warme, Furano | FROM $69 - SAVE ON AGODA! "This Hotel was one of the highlights of our trip." Have a question for Hotel Edel Warme? "Nice room with 4 beds." "Room is very good and clean , meal is very good." "I recommend you to stay"
"Good everything breakfast and dinner"
Situated in Furano, Hotel Edel Warme is the perfect place to experience Furano / Biei and its surroundings. 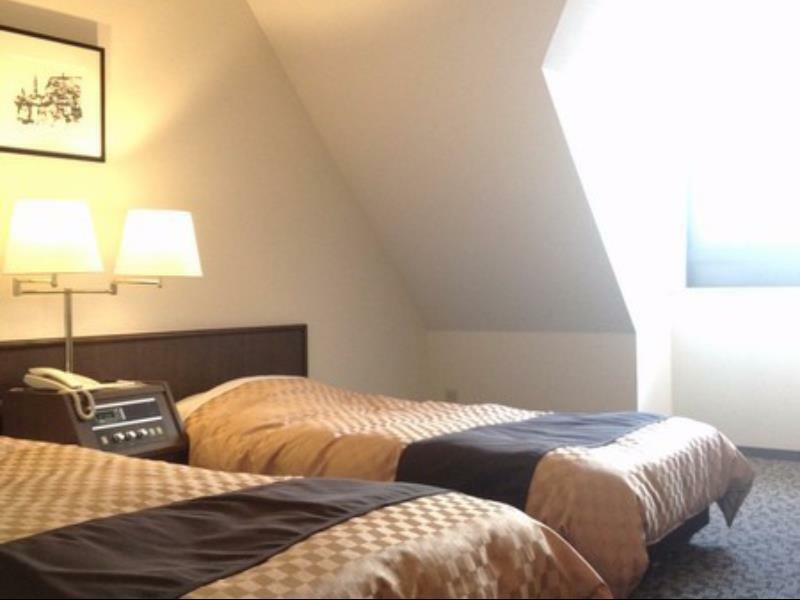 The hotel lies 0.1 km from the city center and provides accessibility to important town facilities. With its convenient location, the hotel offers easy access to the city's must-see destinations. At Hotel Edel Warme, every effort is made to make guests feel comfortable. To do so, the hotel provides the best in services and amenities. To name a few of the hotel's facilities, there are free Wi-Fi in all rooms, Wi-Fi in public areas, car park, family room, restaurant. Step into one of 74 inviting rooms and escape the stresses of the day with a wide range of amenities such as television LCD/plasma screen, internet access – wireless, internet access – wireless (complimentary), non smoking rooms, air conditioning which can be found in some rooms. The hotel's hot tub, skiing, spa, games room are ideal places to relax and unwind after a busy day. Enjoy unparalleled services and a truly prestigious address at the Hotel Edel Warme. A group of us stayed here during our skiing holiday. The location was perfect. We were between the ski hill and town which made both accessible. The trip to town was a 20 minute walk or the shuttle/buses can be used. The room was large and provided a lot of space for all of our equipment. It was a great stay! 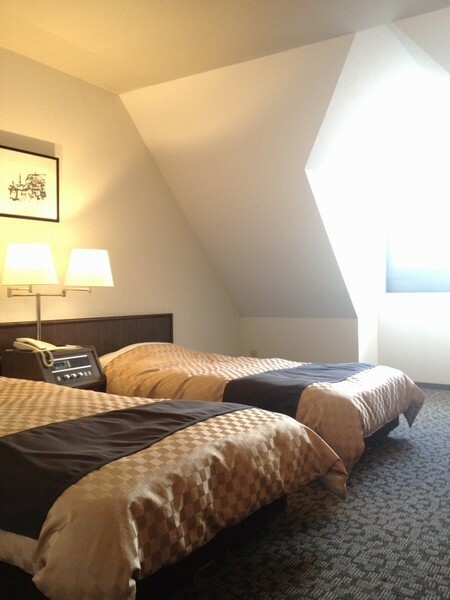 Dated hotel, short uphill walk to Kitanomine Gondola and ski area. However, as i was there over the new year period, alot of restaurants were closed, and the only life around the ski area is at New Furano Prince hotel area, which is around 6km away -- ie one needs to catch a shuttle bus (very limited), get a taxi which is costly or drive your own vehicle. There is also limited bus service to town nearby, so the options are taxi or own car. On new year day many of those who stayed on side of Kitanomine had to settle for 7-11 meals (5 mins walk away) or walk 1.2km to Macdonalds (not the best as it was freezing). Probably better to avoid the 1-3 Jan period. Room is large as it was a 4 person room (we had only 3 persons), but toilet in room was so tiny that i repeatedly knocked the sides. 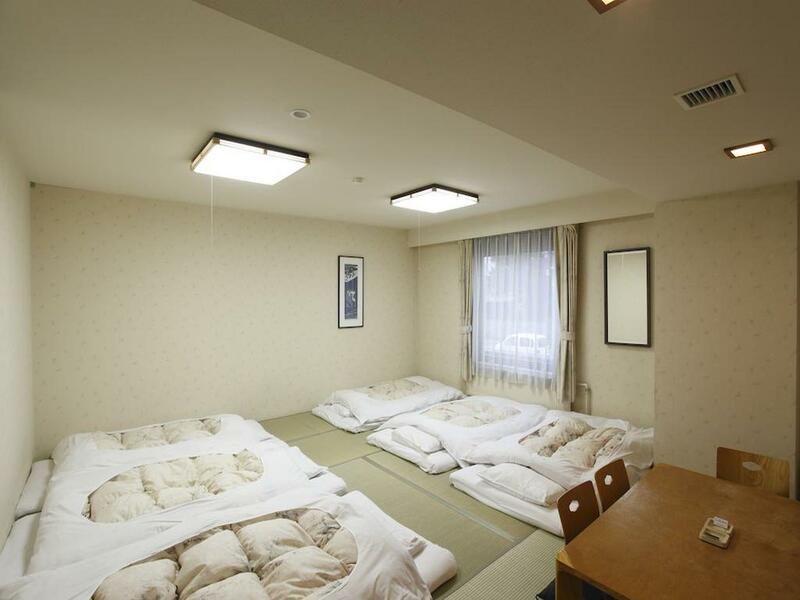 Its better to bathe in the onsen bath on ground floor. There is a ajoining ski rental shop to the hotel, and those with own gear may also leave them there to dry with locking facilities. 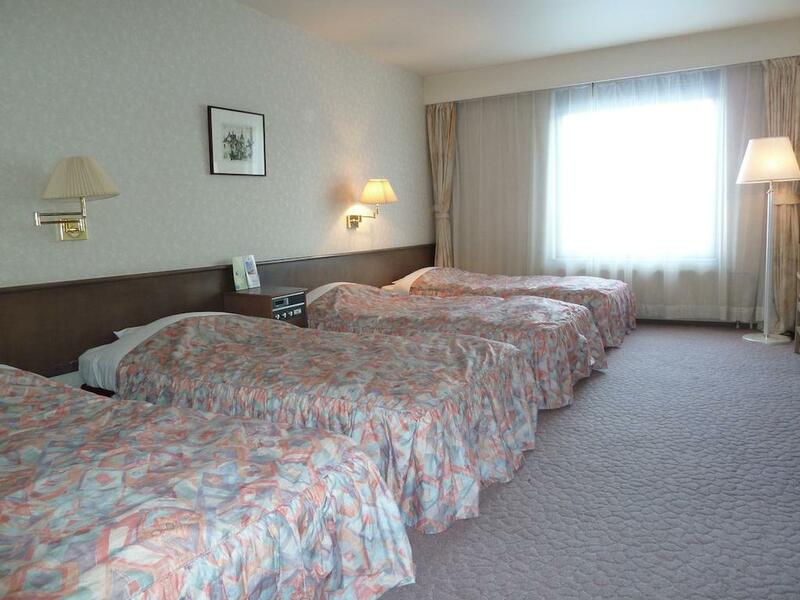 Pros - near 7/11 and food places, offers free shuttle to ski areas (Kitanomine, Furano Ropeway), staff at front office/housekeeping/F&B/maintenance all put in their best efforts to keep you happy, adequate breakfast spread, rooms are decent, Onsen is larger than that at Hotel Naturwald. Cons - very slippery at car park with slope leading to the road (I fell on my back and hit my head while walking to the road); there were guests smoking on my floor which I thought was non-smoking. Nice room with 4 beds. Room size is good. Bathroom is very small. Breakfast has many food variety. Location is close to 7-11 and bus stop. ( 100 mtr). Booked a room for 3 and was given a proper single bed for the extra head. Hotel looks a little old but clean and well kept. Room is spacious. Breakfast is pretty good. 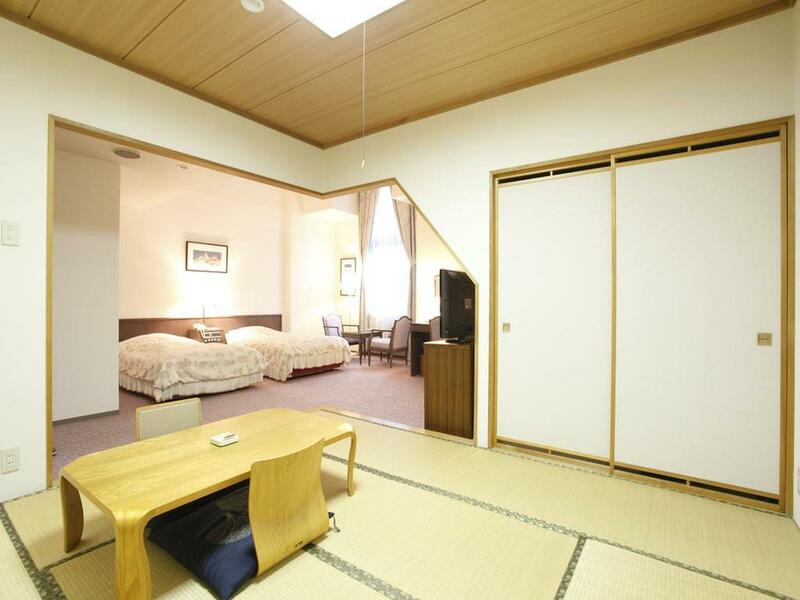 Onsen is free for house guests. Staff is helpful though the command of English is fair. Highly recommended. The room was so small that it was not possible to open our suitcase flat on the floor. The room was also located on the extreme far end of the corridor. We stayed for two nights and happened to have a chance to see other rooms after breakfast on the same corridor. 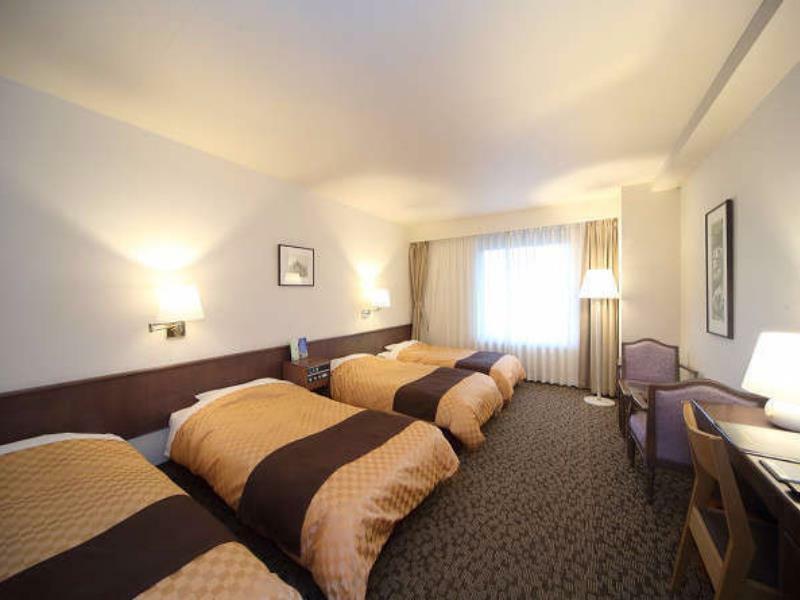 They were also quad rooms but quite a bit bigger. Not sure if the room would be bigger if booking was made via a different travel agent, say a Japanese local agent instead of a foreign one. The hotel is right below the ski mountain. As we came during early summer, there isnt much activity going on. The hotel bed is comfy and bathroom was ok despite the room is a little bit small, and there's a free hot bath facility. It's a 30mins driving distance from Asahiyawa Zoo. Room is clean. Location are beautiful. Public bath are good. 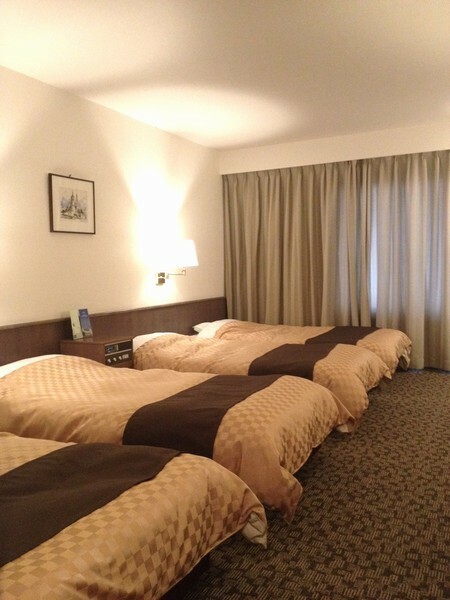 quite cheap, still recommended for 1 night stay. not fantastic though. The place is old and it is not value for $$. We would not recommend this hotel for elderly people as the toilet is higher and very small. Pros - location Cons - I hve lived in Japan for 10 + years. This is the dirtiest hotel I hve ever stayed in during my stay here. Many hairs in the very small bathroom. Rubbish under the bed. Dirty linen. Black mold in the onsen. Suggest people stay elsewhere. The person who checked me in was the worst I have ever come across - unfriendly and unhelpful. No English information on the area - I got some from a hotel close by. Strongly suggest you stay elsewhere. Good location for the price. Free shuttle bus to ski school and slopes. Near food restaurants. Only set back, short of transport to train station by hotel but easily by taxi with assist from counter staff. Taxi cost about JPY1300. One advise-try not reach there too late(after 7pm during wither season) because may have issue to try get taxi from train station to hotel. English language issues but with map or Jap text on map, all locations can be overcome. Just show the taxi driver. Overall satisfied with stay. Facility ok but need more cleaning especially big bath and room as well. Breakfast definitely not worth it , plus overpriced. Breakfast is not like pics on the web site. Felt bit overpriced because it's old and hotel need to clean facilities more. 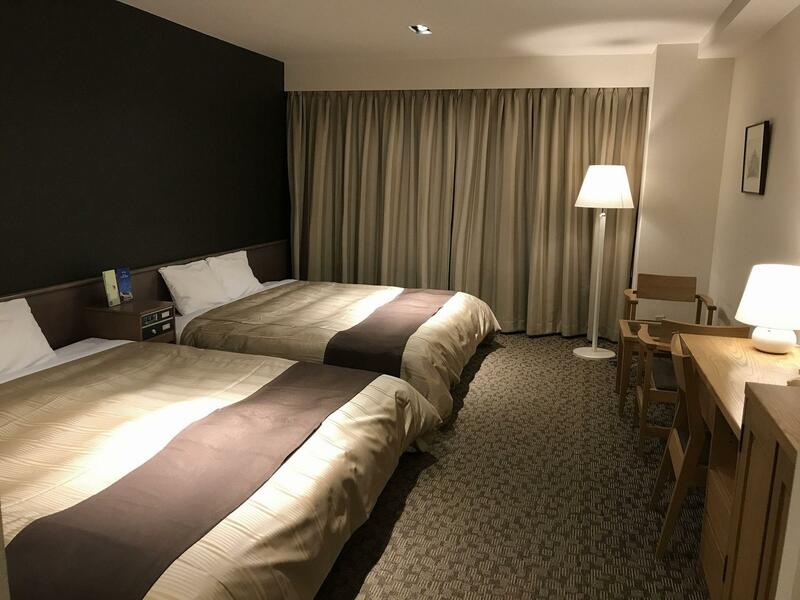 Pros: Has its own parking, Near the Furano ski place, Has its own onsen (no additional charges), reasonable price, rooms are spacious compare to other Japanese hotels, staff are accommodating Cons: Our room had that sewage smell and when we complained, the staff just gave us an odor remover spray.